Jesus was an trememdously creative teacher. As Bible teachers we would do well to not simply explain his words, but attempt to emulate his style. Beacuse I would sometimes receive criticism for teaching differently – i.e. doing something other than simply lecturing the audience; I began to evaluate what methods Jesus used when he taught others. 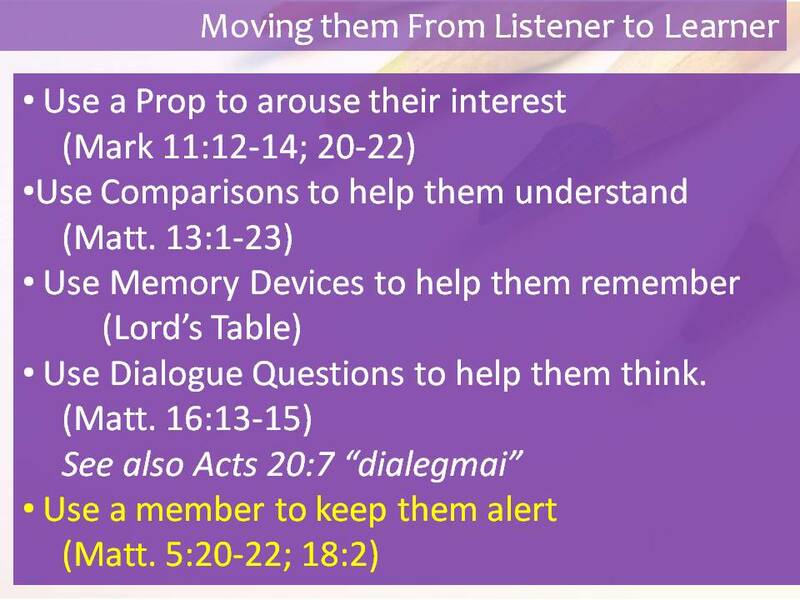 The following are some methods that Jesus employed for the purpose of communicating truth. This entry was posted in Teaching Resources and tagged and truth., audience, bible teachers, creative teacher, jesus.